The Nike Kwazi brings a unique and futuristic style that provides a plush, snug fit and an innovative outsole pattern for a natural feel. 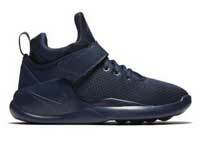 Nike seemed to have borrowed elements from the Roshe and Air Yeezy 2 for these ones. 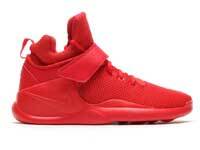 The Nike Kwazi debuted in the summer of 2016, as a bridge between the Nike Roshe, Huarache and Air Yeezy 2 lines. The shoe has a nice balance between performance and leisure. The stylish Nike Kwazi is a lifestyle model with ultra comfortable construction. They are put together with a breathable mesh upper and feature synthetic overlays. In addition, they also have a midfoot strap, inner sleeve, and egg crate-inspired outsole. 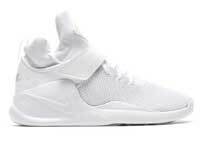 Yeah I’d agree that this looks like a Roshe and Air Yeezy combined. Still cool tho. Construction is very solid and looks comfortable! I like the sole of the Kwazi. It’s very unique! Feels great on the feet man! 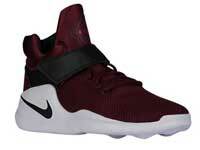 I love the white and maroon ones. They are catchy in the eye! Yes Ricardo I agree with you. I love the maroon one! I’m gonna buy it. Omg, this looks pretty nice… Very comfy lookin’ and soft. I would love to try this out hiking. I want the red one so bad. It reminds me of Michael Jackson’s shoes in the music video for “Thriller”. It’s giving me so much 80’s vibe! These are amazing pieces! I’ll definitely get one, I like the white one best! Plush, snug fit and an innovative, indeed! The colors are amazing too! I love the white one best! I’ll make sure to get those soon! I bought a pair on a whim and didn’t regret it for a second. That time I was looking for an all-red shoe to go with jeans and shorts when I saw these. They look dope and so glad not a lot of the guys wear ’em!! !